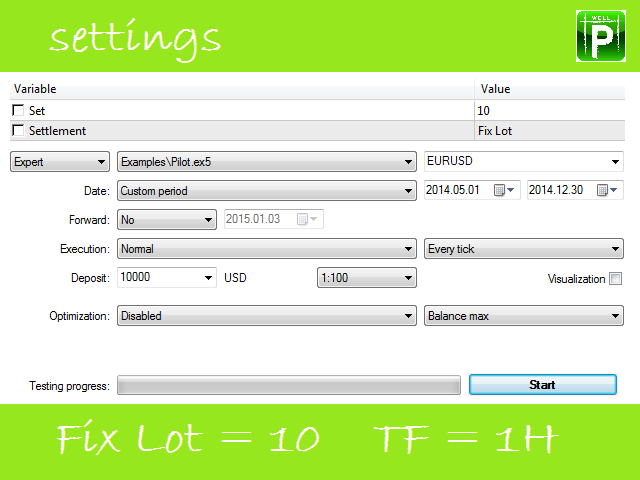 ENS Pilot is another version of a MetaTrader 5 trading robot developed by "Welcome to profit". 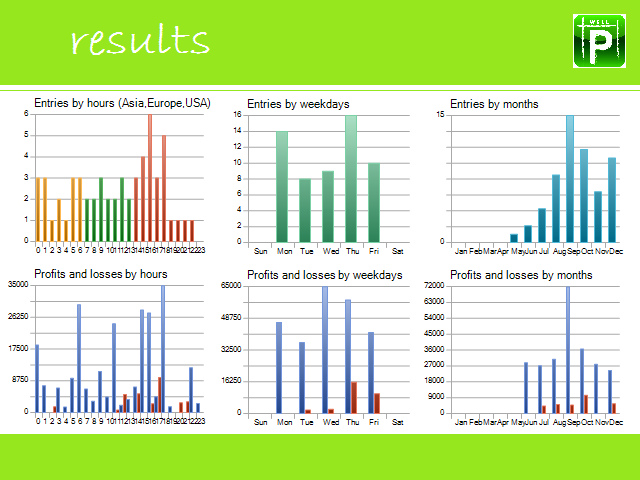 It combines the finely chosen methods of technical analysis and a controlling artificial intelligence. The system is based on complex models of neural networks combined into an ensemble, which allowed to create a system based on the group decision, which led to significant changes in the quality of forecasts as compared to the similar Pilot v1.00 robot. The trading system is not a set of rigid rules, but a methodology for analyzing input data (time series of prices and volumes) aimed at identifying patterns. The distinguishing feature of this algorithm is the possibility of rapid "adjustment" to the current market situation. The system is fully automated, ready to use and does not require any configuration. The neural network has been trained on a special data sample from January 2008 to May 2014, so the demonstration testing of the system was carried out on data from May 1, 2014 up to now. 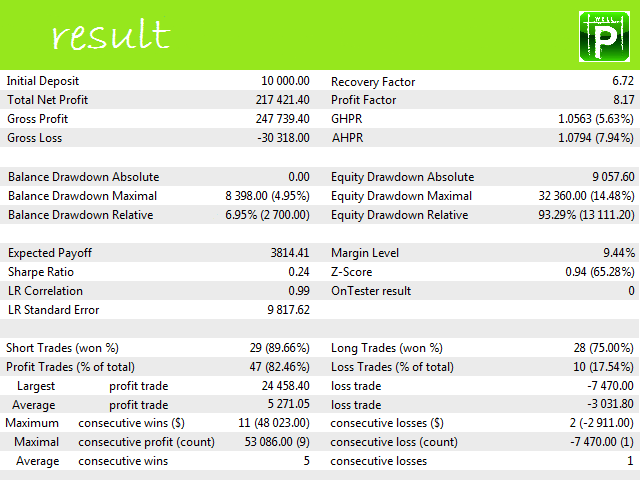 Spread size: This is not a scalping trading strategy, therefore spread size does not matter. Now, the trading robot is a system of independent Expert Advisors. 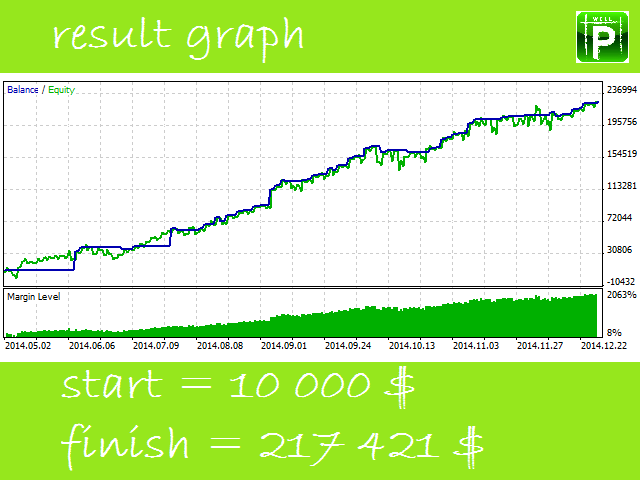 Trades without stoploss and takeprofit, since they may interfere with the correct operation of the neural network. Recommend optimization parameter: lot size. Please note that increasing the profit you increase trading risks! Keep an order open for the weekend only taking into account the impact of the news in the subsequent working day. Testing on the data from 01.01.2008 to 01.05.2014 is not recommended, since this is a training period. In this case testing will be incorrect. To compare the performance of this trading robot with other ones, download Pilot, test both, and choose the most suitable product for you. Best regard, the "Welcome to profit" team.